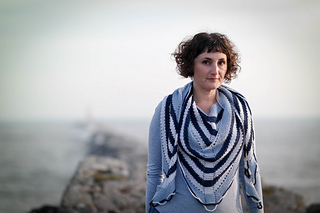 Voyager is a simple shawl with interesting details. 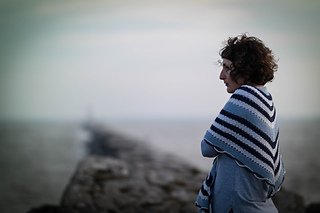 Worked without a single purl stitch, the pattern is easy enough to knit while reading or watching a movie, or enjoying the scenery on a trip. 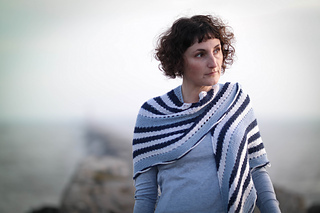 A nautical inspired stripe pattern punctuated with rows of eyelets spices up plain garter stitch, and the cabled i-cord bind off finishes the shawl with a flourish. 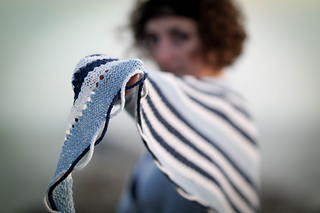 Once you learn the rhythm of the pattern it’s easy to let your mind wander while knitting this shawl, and to follow your imagination on your own voyage. 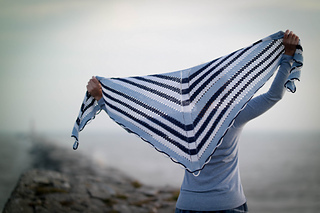 The shawl begins with a narrow strip of garter stitch, which forms the edges of the shawl. 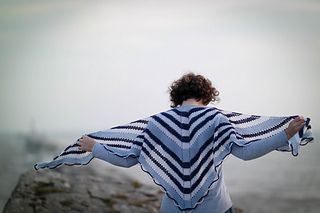 Stitches for the center and two sides of the shawl are picked up from the side of this piece. 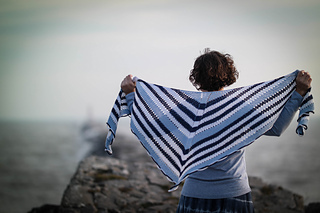 The shawl is shaped with six increases every right-side row, creating an elongated triangle or heart shape. 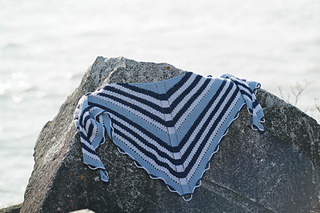 The shawl is finished with a cabled i-cord border. 24 sts and 36 rows = 4 inches/10 cm in garter stitch before blocking. 18 sts and 24 rows = 4 inches/10 cm in garter stitch after blocking.